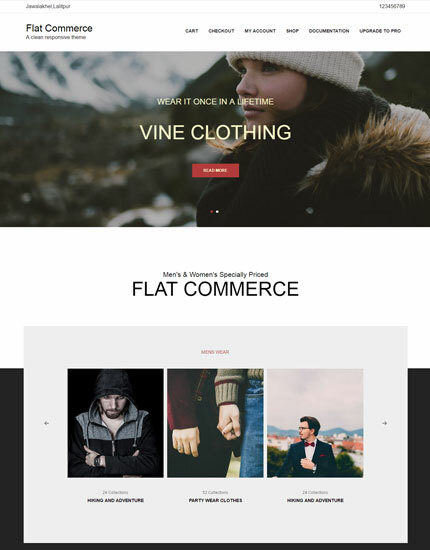 Flat Commerce Pro is a clean & fresh flat style designed WordPress Theme. Aided with responsive and retina-ready design, your store’s product catalogue would have an upmarket look and feel across all modern devices. 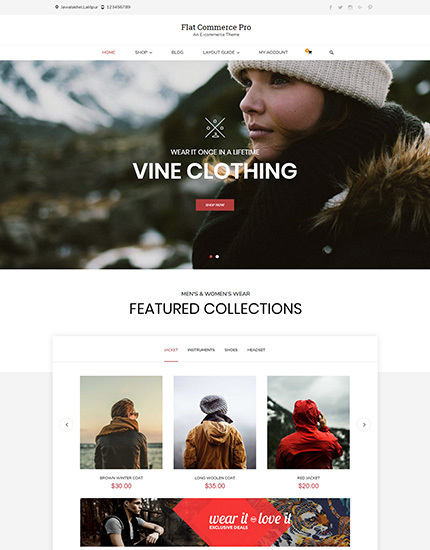 Create an exquisite shop for your online store showcasing brand and products, company website, personal portfolio or even a blog to start with. 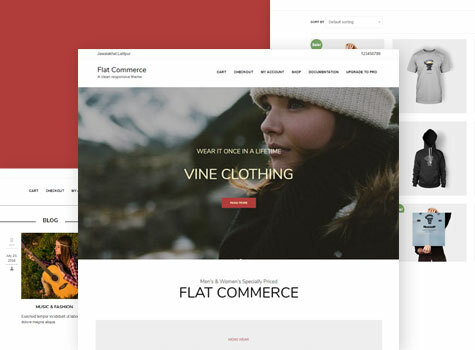 Flat Commerce Pro has integrated WooCommerce Plugin. You can sell your products right away. 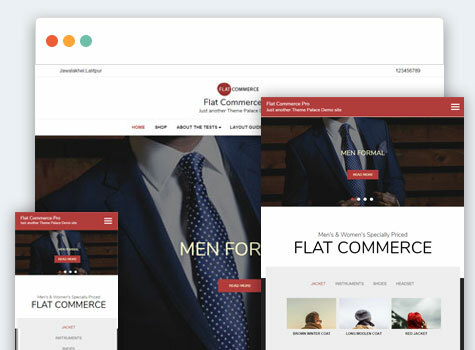 Flat Commerce Pro has full support for responsive design. 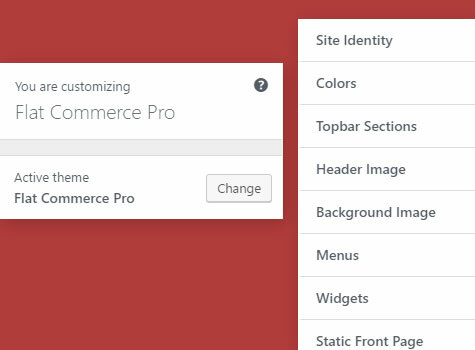 Flat Commerce Pro provides you ease on customizing theme options and home page sections.